Schenker India Pvt. 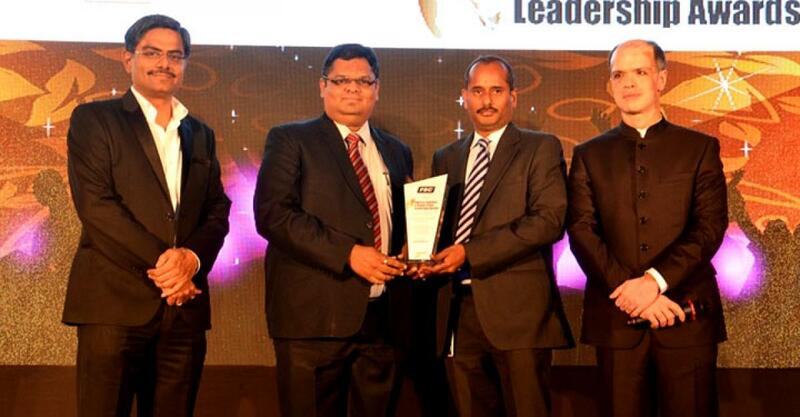 Ltd. part of global logistics service provider DB Schenker, has received “Freight Forwarder of the Year Award” for its innovative freight solutions in the Indian market. Schenker India Pvt. Ltd. part of global logistics service provider DB Schenker, has received “Freight Forwarder of the Year Award” for its innovative freight solutions in the Indian market. The Awards, one of the most prestigious for logistics service providers in India, presented last week in Mumbai to honor the achievements in the field of Supply Chain and Logistics in different segments of users and service providers’ categories. DB Schenker in India was recognized for facilitating its Indian and multinational customers with innovative freight solutions connecting the world which resulted in saving them precious cost and time in their non-core areas. DB Schenker was nominated on the basis of its strength of global network in more than 130 countries, assortment of industry solutions, in-house IT platform for better turnaround time and operational excellence program in the various supply chain functions. “We are excited about the award; a solid teamwork of our motivated workforce who made it possible for DB Schenker to retain it for last so many years.” said Mr. Mayur Gandhi, Chief Financial Officer, Schenker India Pvt. Ltd.
About Express Logistics and Supply Chain Conclave Awards: The Express Logistics and Supply Chain Conclave is Asia’s Largest End-To-End Logistics & Supply Chain Conference. The current 9th edition includes the industry tracks across 2 days, running parallel to the main conference & ELSC Awards.An Independent research agency ‘worXogo’ was accredited with the research for the award nominees & winners for 2015 Express Logistics and Supply Chain Awards. About Schenker India Pvt. Ltd.
Schenker India Pvt. Ltd. is one of the leading providers of integrated logistics services in the country. It offers a complete range of international air & ocean freight, contract logistics and global supply chain solutions from a single source. With 37 office locations and more than 53 warehouses covering more than two million square feet of warehousing space, DB Schenker in India enjoys an enviable position to seamlessly serve its customers for their end-to-end logistics solutions any time.